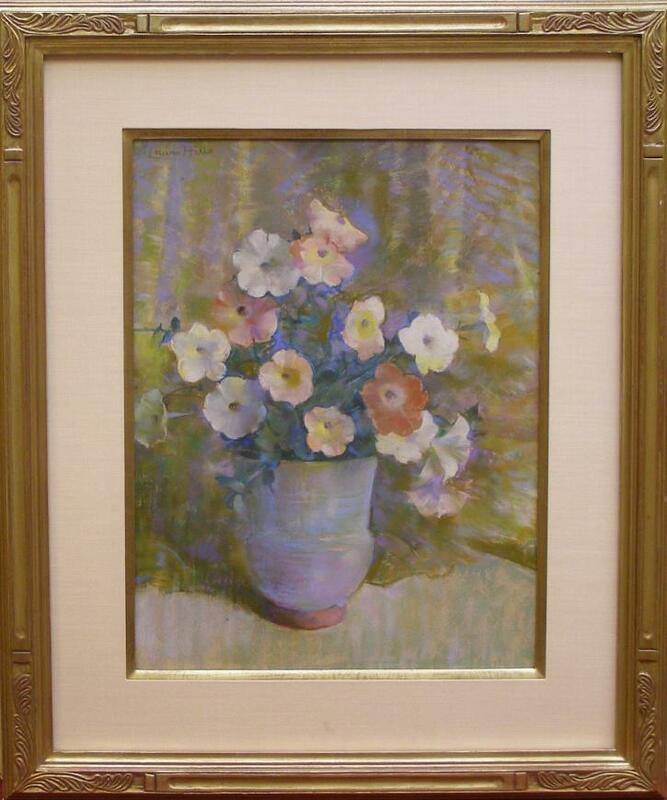 Pink and White Petunias is a graceful and subdued composition featuring soft pink and green tones. 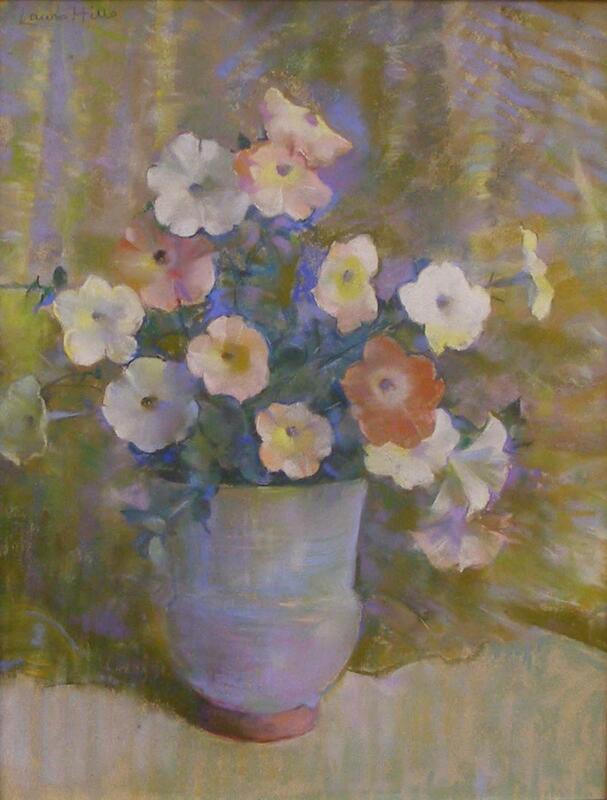 Hills was a master of capturing the essence of whatever flowers or vase she chose for her composition and hinting at the elegance of detail without overworking the pastel. In addition, what is unique about her depiction of the flowers is the artist's capacity to grasp the subtle nuances of "gesture" as the flowers naturally appear in the vase. Capturing these qualities on paper required a sureness of touch and mastery of technique that was her hallmark and there seems to be no artificial rearranging of the shapes and inclination of the flowers.